Peek’n Peak’s terrain is spread out over 105 acres of skiable terrain, with 52 percent considered intermediate runs. Beginner or advanced skiers and snowboarders are encouraged to come test their skills on our 27 slopes and trails. The combination of 100 percent snowmaking capacity and availability of night skiing, makes it possible for any skier or snowboarder to experience a full day of fun on the slopes! This season, Peek’n Peak has added an ALL NEW BagJump and 720 terrain park in addition to their other 3 progressive terrain parks. Peek’n Peak also boasts a 5 lane tubing arena that provides additional winter entertainment; no skills required! The Learning Center offers ski and snowboard lessons for all ages and ability levels, equipment rental and ticket purchasing. The Inn at the Peak, the tri-state premier steak and seafood house, lounges, and seasonal outlets offer guests multiple menu selections. On premises Ski Shop, Gift Shop, and Convenience Store provide essentials and unique gift items. World famous Chautauqua Institution is only minutes away. Also located within a 30 mile radius are three lakes, numerous wineries, and the quaint village of Findley Lake. 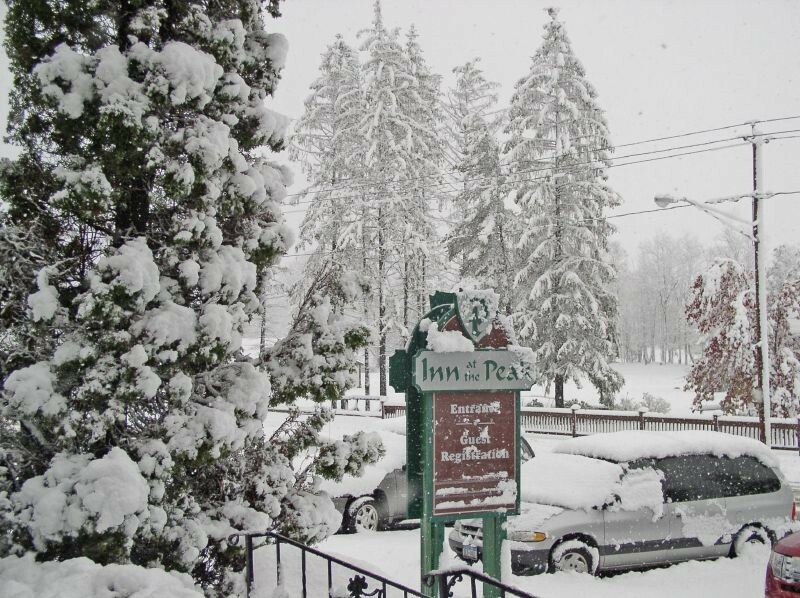 Get Snow Reports, Powder Alerts & Powder Forecasts from Peek'n Peak straight to your inbox!